Pat Arost, CEO of the Milford Music Center graduated from Immaculata College with a Bachelor degree in music. Pat got her start playing for her church at the age of five. After she gained her bachelors degree in music she began teaching private lessons in piano, band, choir and voice as well as playing the piano and organ for her home church. She devoted her time to starting and organizing small instrumentals and singing ensembles. In 1981, Pat worked for Lewes Christian Academy as a music director teaching and overseeing the music program for band, recorders, flutophones and choir. Pat moved to Capital Baptist Church School around 1988. She was instrumental in starting the band and choral program for grades 1st-12th. Pat's desire was to own a music store. She began Lewes Piano and Organs in 1985. In 1997 she moved her business to Milford, Delaware where today she deals in the finest family-owned and operated Kawai pianos. In addition to piano sales, Pat still devotes time to teaching private lessons, sharing her knowledge and love for music. Brent Panel is a dedicated teacher at the Milford Music Center. He attended Shennandoah Conservatory University at which he received his Bachelor's Degree in music; he transferred to the Eastern New Mexico University where he received his Master's Degree in music. He has been a band director and general music teacher in the public school system for 31 years. He was the conductor of a band concert for President Ronald Reagan, as well as, a member of the first clarinet choir to perform at Kentucky Center in Washington, D.C. He was the rhythm guitarist and lead vocalist in the opening act band for Roy Clark. He has participated as a judge for Sussex and Kent County Honor's Band Auditions for Clarinets and Woodwinds, Delaware All-State Band Additions for Flutes, and Delaware State Fair Talent Competition for Vocals. He has been a chairperson for Kent County Honor's Band and Kent County Middle School Band Festival. He was also a member of Who's Who Among American Teachers. Brent Panel is now a devoted teacher at Milford Music Center enlightening his student in the knowledge of music and creating the stars of tomorrow. 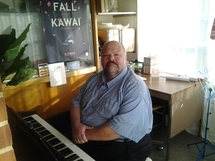 Dr. Robert "Bob" Thomas has been a faithful teacher at the Milford Music Center for some 20 years. He has devoted much of his life to the study of music. Early on, he attended South Illinois University in Carbondale, Illinois, at which he received his B.S, M. Sc, and M. Mus. degrees in music, as well as the University of India, the University of Miami, George Washington University, and the University of Carolina - Greensboro. He worked as a public school teacher for 2 years after which he became a college and university teacher and later an administrator for 22 years. He has proudly served his country in the U.S. Marine Corp. He has professional affiliations with the National Education Association, National Society for the Study of Education, North Carolina Association of Educators, American Association of Higher Education, American Association of College for Teacher Education, Music Educators National conference, Phi Mu Alpha, College Music Society, and American Recorder Society; as well as community affiliations as a consultant in music and education, Sunday School Teacher, director of two church choirs, leader of the "Bob Thomas Trio," Member of Brass Ensemble, Member of Community Band, and Men's Day Speaker. Over the years, Dr. Bob has been a member several symphony orchestras playing various instruments. He was a member of the Southern Illinois Symphony playing the bassoon, The Jackie Gleason Orchestra as a trombonist, as well as, the Nashville Symphony Orchestra specializing in the double bass. Currently, he plays with the Dover Symphony Orchestra as their Principal Bass. After moving to the Delaware area, Dr. Bob worked as director of the Music Department at Delaware University. During this time, he earned his D.Mus. Retired from university teaching, Dr. Bob now devotes much of his time preparing tomorrow's master musicians at the Milford Music Center.